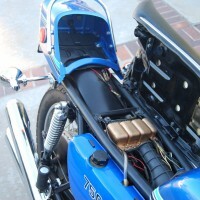 Restored 1979 Yamaha RD50 Motorcycle. The frame,swinging arm and other black parts were powder coated. 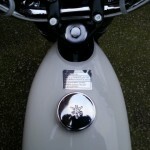 It was then fitted with new headstock bearings & swinging arm bushes. All of the metal parts were zinc plated. 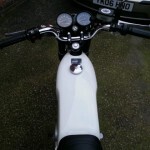 The front & rear mudguards,handlebars,gear lever,kickstart,downpipe & NOS silencer were re-chromed. 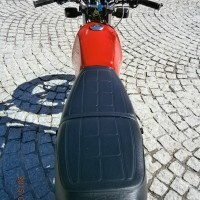 Pattern rear indicators were fitted. The front brake was rebuilt with new seals, piston & pads. New brake shoes in the rear. 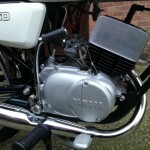 The engine was rebuilt with new crank shaft seals and clutch plates. 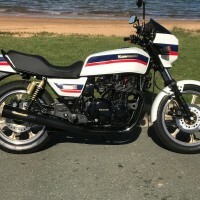 A really great restored Yamaha RD50 Motorcycle. 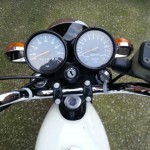 Yamaha RD50 – 1979 For Sale or Wanted? 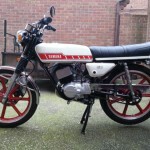 If you're looking for the perfect Yamaha RD50 – 1979 for sale then take a look at the hundreds of restored classic motorcycles listed on our extensive Motorcycles For Sale pages. 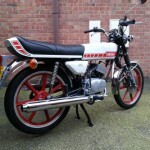 We regularly feature very nice restored Yamaha RD50 – 1979 bikes for sale. 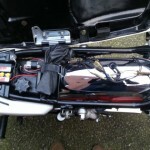 Spares and Parts for your Yamaha RD50 – 1979? 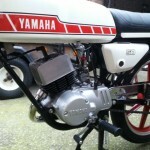 Workshop Manual for your Yamaha RD50 – 1979? 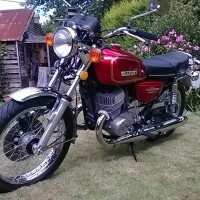 Hi Im currently working on a farm which has an old yamaha rd50, exactly the same as the one on your site but with gold wheels and a cowering over the front light. I have the opportunity to purchase the bike, however I have no idea how much these bikes are worth. 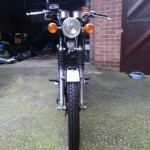 The bike is in good condition and I plan to fully restore the bike if its worth doing. I spent hours on the net and haven’t found any for sale, can anyone help please?